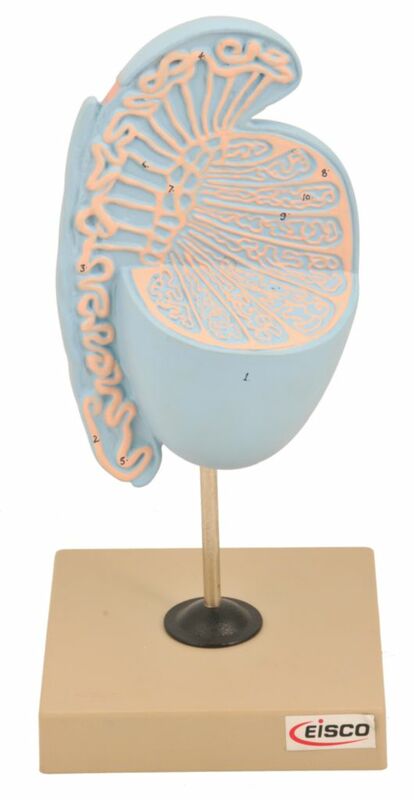 A sectioned model of the human testis, showing internal structure of the testis and epididymis. Mounted on base. with key card.